Outer Circle Bus – Take your own Guided Tour | On the date 11:11:11 we took a bus round the Outer Circle for a guided tour, and did many more in the next 3 years. You can take your own tour with the help of this site, or enjoy one our illustrated talks. The date of 11-11-11 made me think – not only about the fact that it was rememberance day, but the significance of the recurring number 11. And that this date will only occur every 100 years. But for those who were bought up, lived or have worked in Birmingham the Number 11 will have an even greater significance. It is the number of the OUTER CIRCLE BUS route. 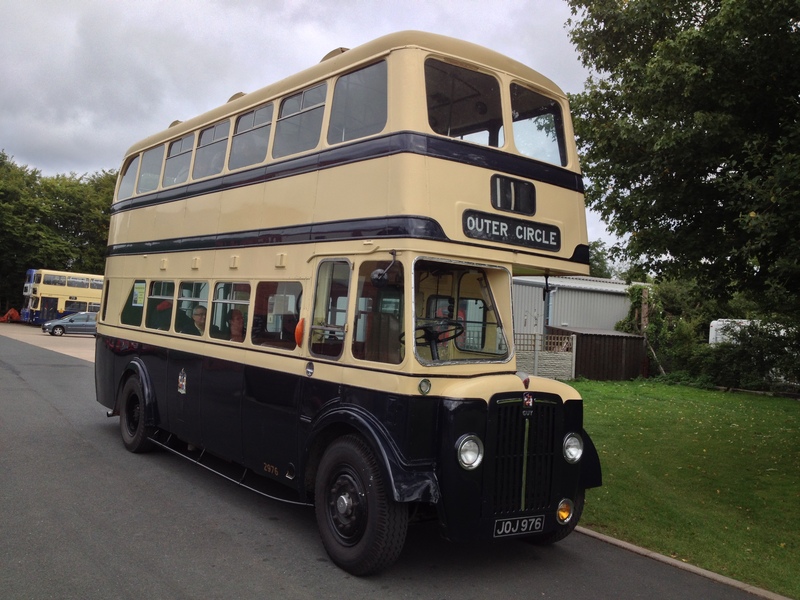 If you or anyone you know is old enough to have journeyed to school, or indeed work, in Birmingham in the 1950 or 1960s there’s a pretty good chance that the No 11 Outer Circle bus would have played a part in that journey. Living as I did in leafy Hall Green, I travelled on the Outer Circle as a child and a teenager to go to school in Bournville, to visit my uncle and aunt in Perry Barr, to play records with my mates in Kings Heath and to meet with my girlfriend (now my wife) in Acocks Green. My mother travelled late at night and early in the morning to go to her night shift as a nurse at the Cottage Homes in Erdington. My Uncle Tom drove the Outer Circle buses almost all his working life, and my father-in-law had graduated from trams to driving on the Outer Circle in the 1940s & 50s. So the plan was to go around the Outer Circle on 11-11-11. Better still to start at 11:11 and to use a No 11 bus from my childhood! I hired the bus and invited a few friends to come along for the ride, but there are over fifty seats on a 1953 double deck Birmingham City Transport bus. So I invited anyone who was interested to follow this blog, or my tweets http://twitter.com/outercirclebus and subsequently 50 other folk joined me on board the OUTER CIRCLE BUS on 11-11-11. From this we decided to run similar trips in the following three years, not just around the Outer Circle, but to the Cotswolds too. All profits were donated to local charities such as the QE & Wythall Transport Museum. We ran our last tours in 2014. But to help keep the spirit of the Outer Circle alive we serialised our guided tour script on the BRUMPIC website, then published it here for everyone to read. To find it click here. You can now hop on a 11a bus and read your own tour. We’ve even got a map for you to help you navigate the 26 mile route. Click here to see it. We are now giving talks to local history societies and other interested groups, so if you belong to one, or know someone who does then it’s now possible to enjoy a 75 minute “virtual” guided tour. A splendid time is always had by all!! We now run a series of Heritage Talks and you can click here to see the list. To get in touch simply send an email to info@outercirclebus.com. To read the posts cataloguing the progress of our tours over four years click on the “Archive” links in the right hand sidebar. Looking for the calendar that was printed in 2012 of the No 11 Bus route, anyone gone one please. The Best 2 hours of my life without leaving my chair, I know most of the route, but not too much of the history, GREAT TOUR I’LL definately do the whole lot in the very near future, (when the wether picks up) Well Done. We hope that you enjoy your tour when you get the chance to go all the way round.